Dr. Walid “Wally” Khalid Attisha passed away peacefully in his sleep in the early morning of September 29, 2018 from a cardiac event. 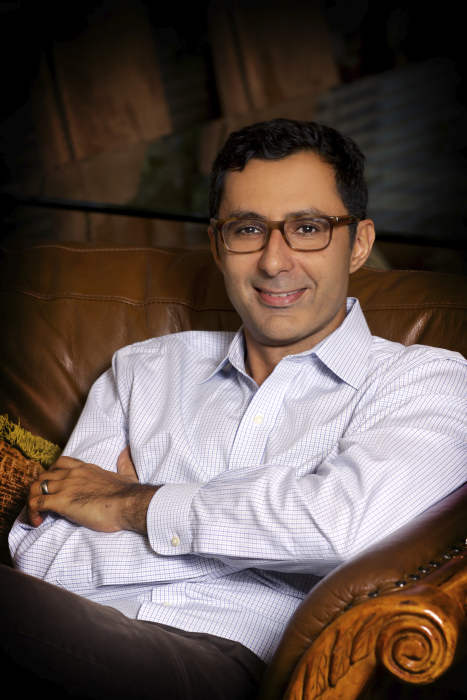 Wally was born in Baghdad, Iraq on October 8, 1975 as the youngest of five children, but grew up in Houston and went to Memorial High School, Texas A&M and then Baylor College of Medicine, after which he practiced as a neuroradiologist at the Medical Clinic of Houston. Wally married Janet Lee Wood in 2005 in Houston, and they would be celebrating their thirteenth anniversary on October 15th. He is survived by his wife, Janet, and three sons, Roman Paulus (9), JonCarlo Elias (7) and Louis Ramsay (4), and is preceded in death by his son, Gabriel Lee. He was a dedicated father and husband. Wally loved spending time outdoors with family in Houston, Wimberley, Whidbey Island, Oklahoma, Spain and anywhere else you can safely manage three rambunctious boys. He was a gifted chef and loved to cook for anyone that would allow him and sometimes for those who may not have expected it or the clean-up that came with it. He had a warm, adventurous spirit and loved to travel, and to meet all types of people and to try things that most people would run from. Wally had a penchant for foreign accents, 80s TV theme songs and campy improvisational guitar ballads. He had a dry humor, an easy cry, a gentle nature, and a soft place in his heart for those who were overlooked or unaccepted. He loved to be around people and bring people together and his joy came from connecting with others which was easily reciprocated. Wally is also survived by both of his parents, Drs. Khalid and Faiza Attisha, his four sisters Gina Mouser, Sheila Ryan, Basma Wainerdi and her husband James, Luma Golden and her husband Michael, as well as, his mother-in-law Kay Box and her husband Sam, and brother-in-law Justin Wood and wife Kim. Wally treasured his relationship with his nephews and niece: Ricky and Eric Mouser, Mark and John Paul Ryan, Brandon, Christopher and Ryan Wainerdi, William and Connor Golden, and Garrett and Madison Wood. Wally had family and friends all over the world, and he will be greatly missed by all who knew him. A visitation will be held on Wednesday, October 3, 2018 at five o'clock in the evening at Bradshaw-Carter Memorial & Funeral Services, 1734 West Alabama St. in Houston with the Rosary recited at seven o’clock in the evening. A Mass of Christian Burial will be said on Thursday, October 4, 2018 at St. Vincent de Paul Catholic Church, 6800 Buffalo Speedway in Houston at ten o’clock in the morning. Burial will be at two o’clock in the afternoon at Garland Cemetery in Stigler, Oklahoma on Saturday, October 6, 2018 where he will be buried next to his son. In lieu of flowers, donations may be made to the San Jose Clinic, P.O. Box 2808, Houston, TX 77252 or Healthcare for the Homeless in Houston, 2615 Fannin Street, Houston, Texas 77002.